Vita Perfetta Cell Phone Cases take custom accessories to the next level. Choose from one of our creative options, and we’ll take care of the rest. 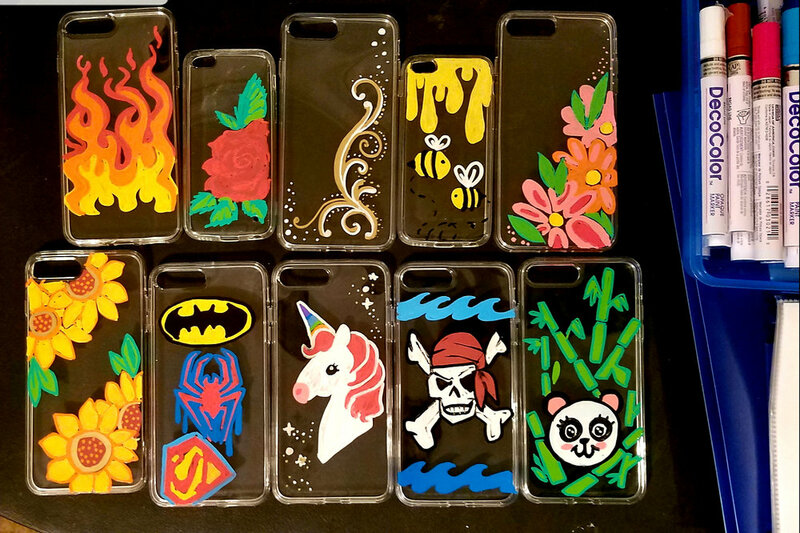 HAND PAINTED CELL PHONE CASES: Our talented artists create funky artwork for each party guest. Choose from our hot graphics, or we’ll customize it to express your personal style. The options are endless! STICKER TAGS: It’s the hottest new thing in cell phone style. Choose from fun emojis, decadent candy art, hot phrases, and more. Mix and match to create a custom cell phone case that’s all about you! Vita Perfetta Custom Cell Phone Cases are always a party hit!